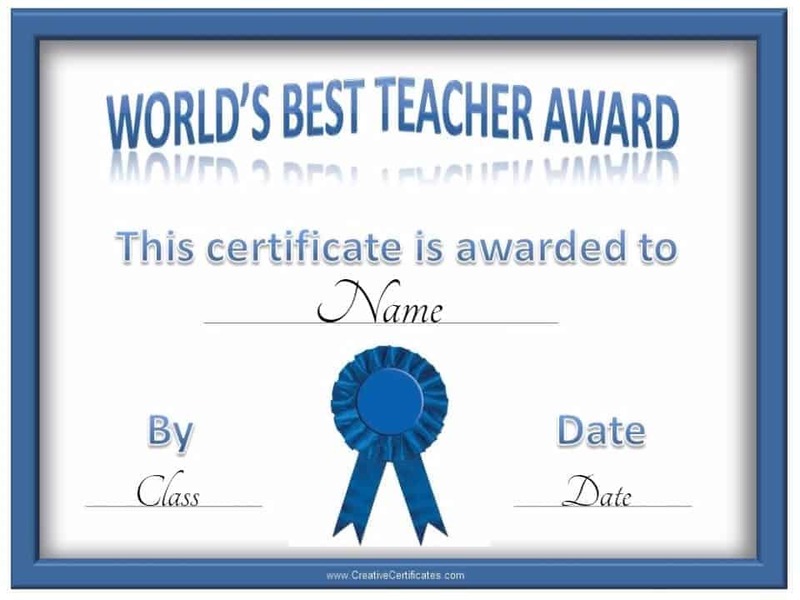 All of the text on the following certificate templates can be customized. 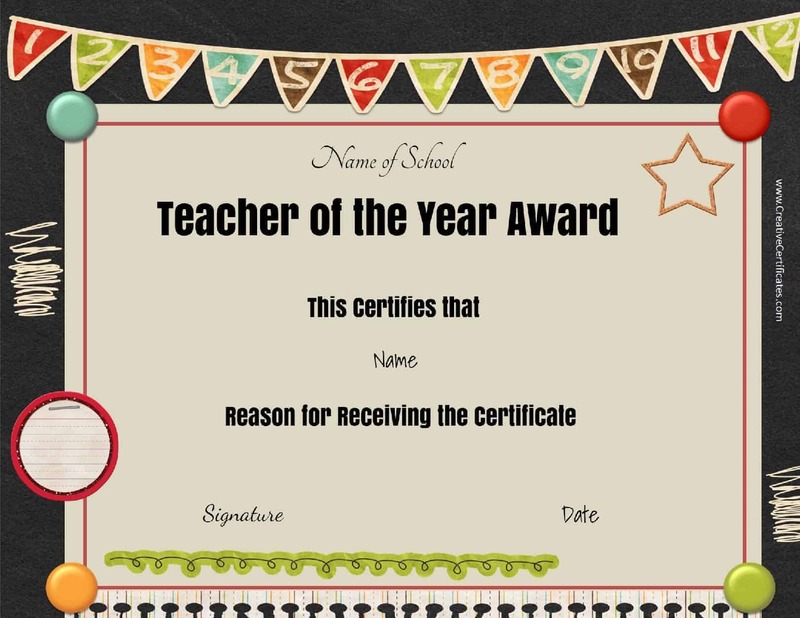 They read “Teacher of the Year Award” but you can change the title to use them for any purpose (see ideas above). 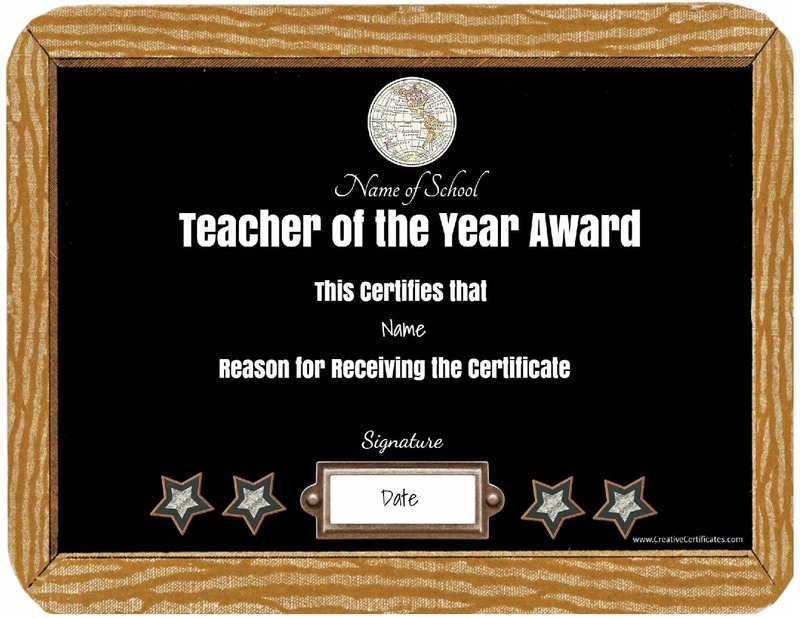 Teachers have an extremely difficult job and do not always receive the recognition that they deserve. By educating our children they perform an extremely important function. Often we take their dedication for granted and don’t let them know how appreciative we are. 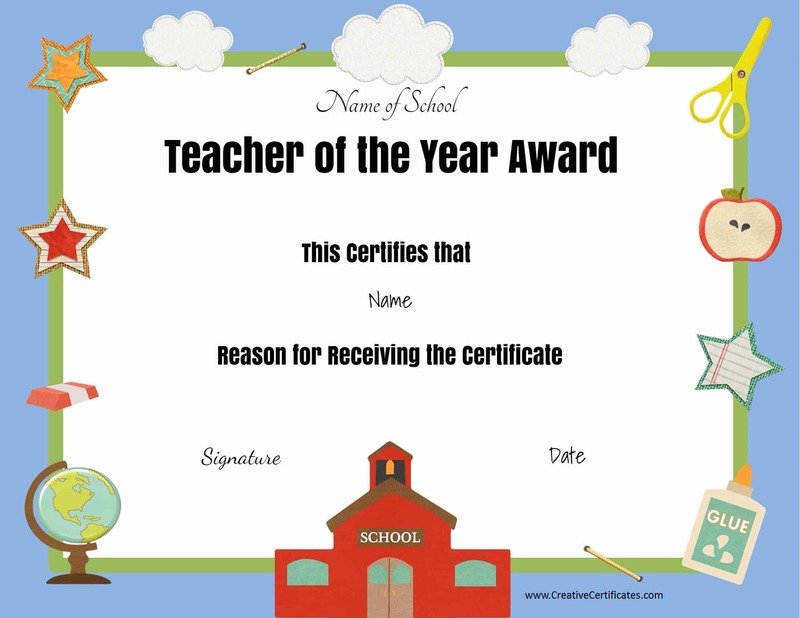 Why not prepare them a free certificate as a token of appreciation to recognize their effort and show our gratitude. 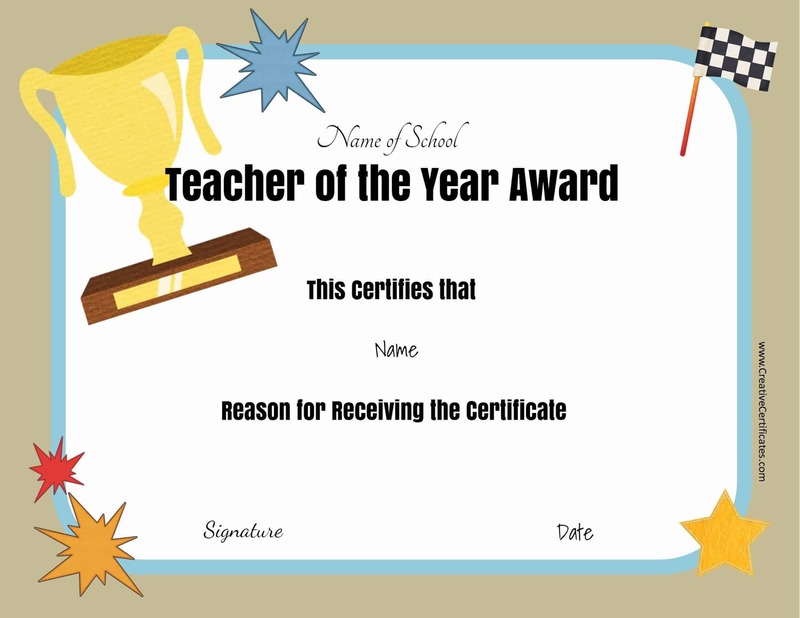 The text on the following award certificates can be changed but the titles cannot be edited. I think that being a teacher is one of the most challenging jobs. Being a teacher that is loved, respected and appreciated is even more difficult. 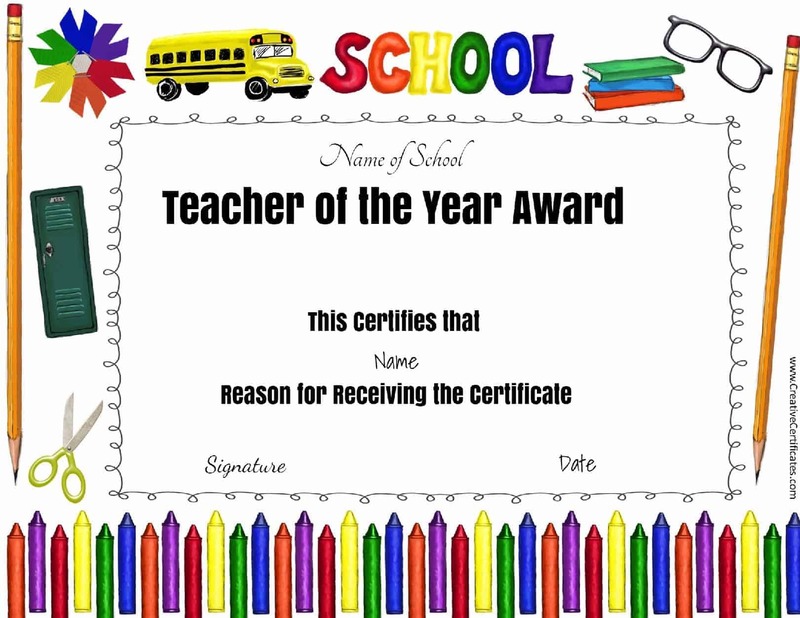 If you have one of those teachers then these certificates are perfect. 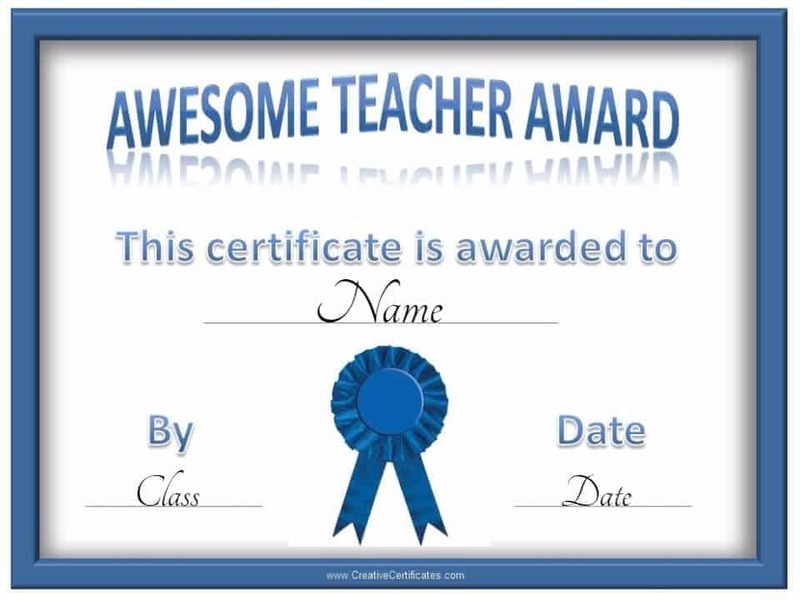 Everyone likes to know that they are appreciated and these certificates are a great way to let someone know! 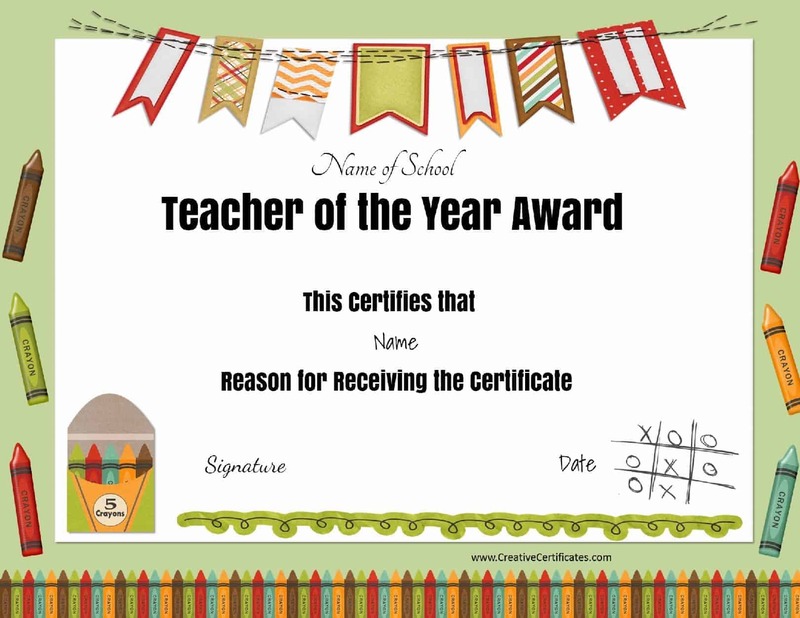 If you want to make a teacher appreciation gift you can frame one of these printable certificates. 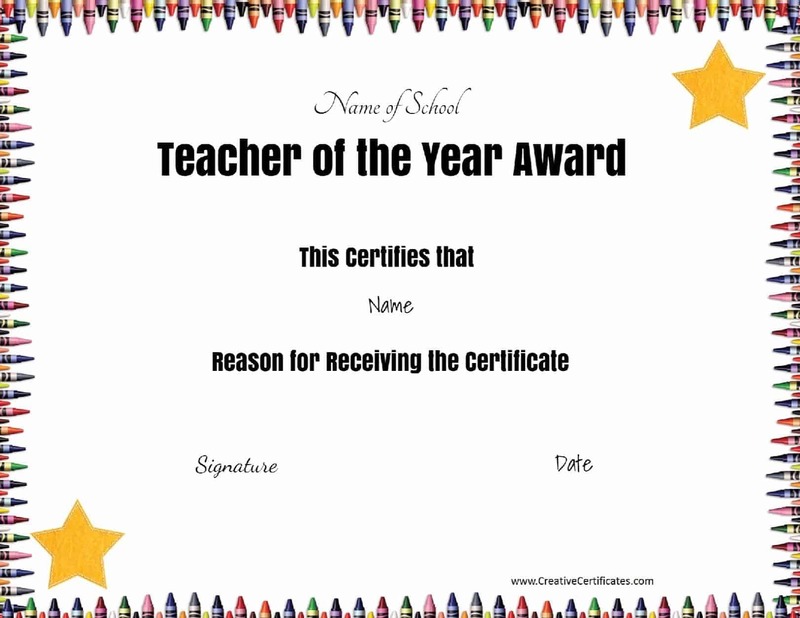 Your teacher is sure to appreciate the thoughtful gift. 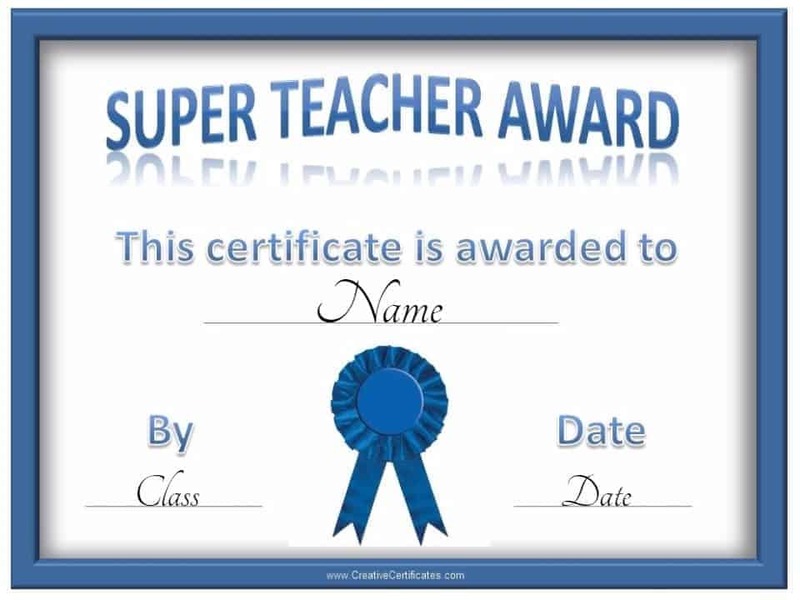 If you have a frame that you don’t need then the teacher appreciation gift will be free! You can also just give it as is without a frame. 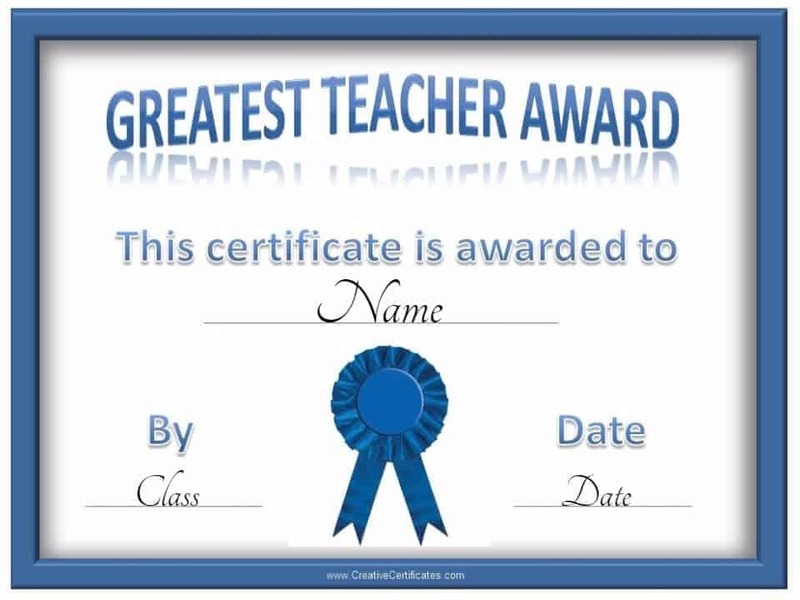 You can also add a class photo to the certificate to remember the class that they taught. 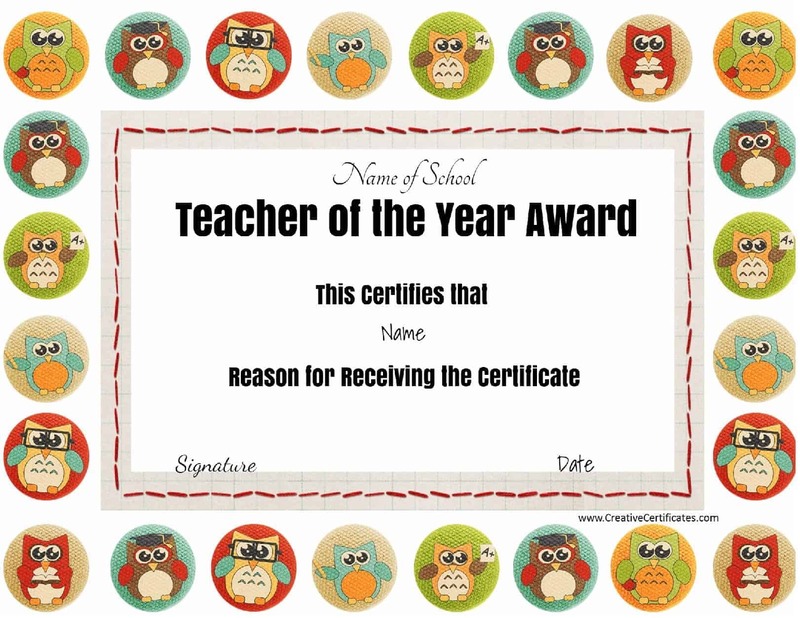 Giving a teacher a certificate expressing what a good job they did can often be more meaningful than giving a gift. 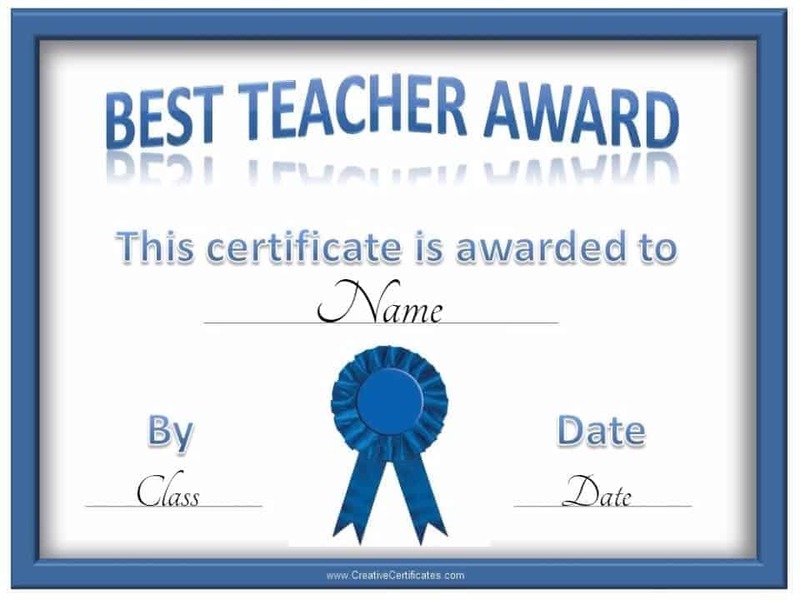 Gifts are eventually forgotten but certificates are usually kept for years to come. Of course, you can always give both since the certificate won’t cost you anything unless you have it framed. Even then it will only cost a few dollars. 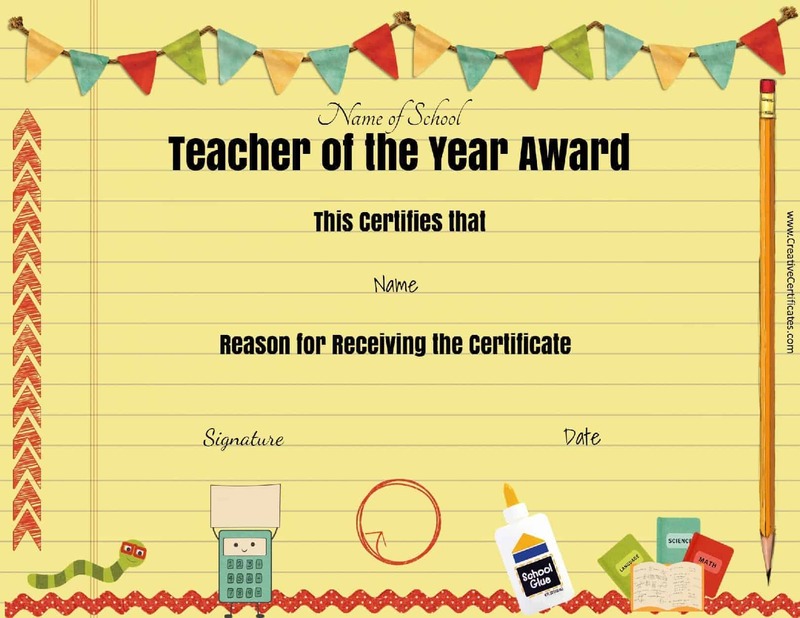 You can also prepare the certificate together with your children to enable them to be involved and even express their gratitude in their own words. 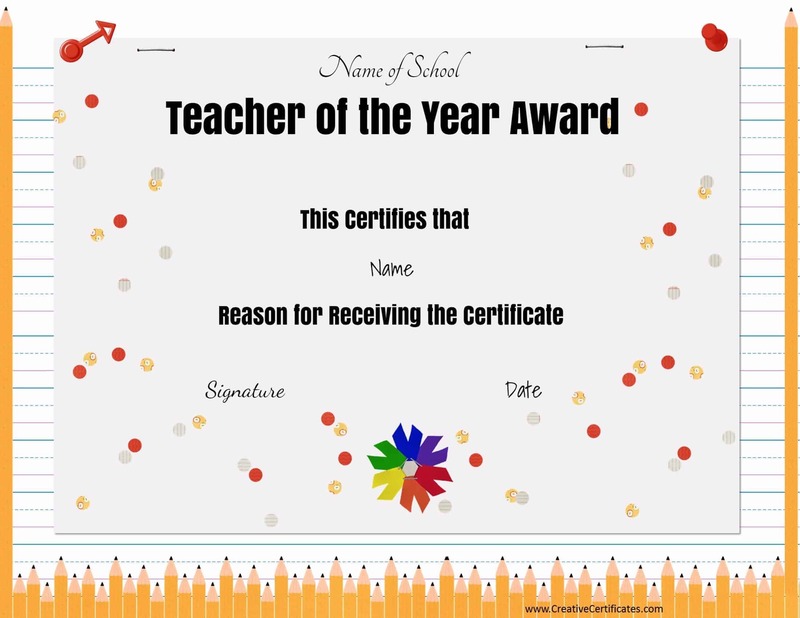 You can also use any of the certificate templates on this site and customize them for teachers.